State environmental regulators say the owner of a Parkersburg warehouse that caught fire last month has handed over 551 pages worth of documents. Warehouse owner Intercontinental Export Import provided the documents in response to an order the West Virginia Department of Environmental Protection issued the week after the fire. The documents in the updated inventory include a map of the facility and safety data sheets. 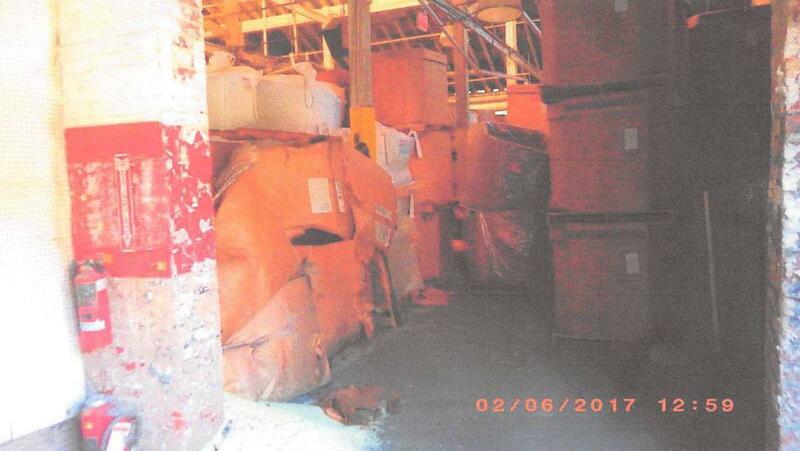 IEI’s inventory indicates that thousands of tons of various types of plastic pellets and other related materials were stored at the facility. "Neither DEP nor Incident Command has concluded that these documents provide a complete and accurate accounting of the site's contents at the time of the fire," said Department of Military Affairs and Public Safety spokesman Larry Messina. IEI has also provided the DEP a proposed Plan of Corrective Action, which the agency’s Environmental Enforcement section is reviewing, according to a news release. Wood County officials say expenses for response to the fire total more than $1.44 million. That bill has been passed off to the state. County officials expect IEI parent company SurNaik Holdings and their insurance carrier to reimburse the county and state for the costs of fighting the fire. The fire started October 21 and burned for more than eight days.